A developing warm front will bring thickening cloud cover this morning as well as the possibility of very light precipitation. Where temperatures are above freezing, this precipitation is expected to be sprinkles of rain along with a few pellets of sleet. In areas below freezing the sleet may mix with freezing rain, which could deposit patches of very thin ice on elevated surfaces. 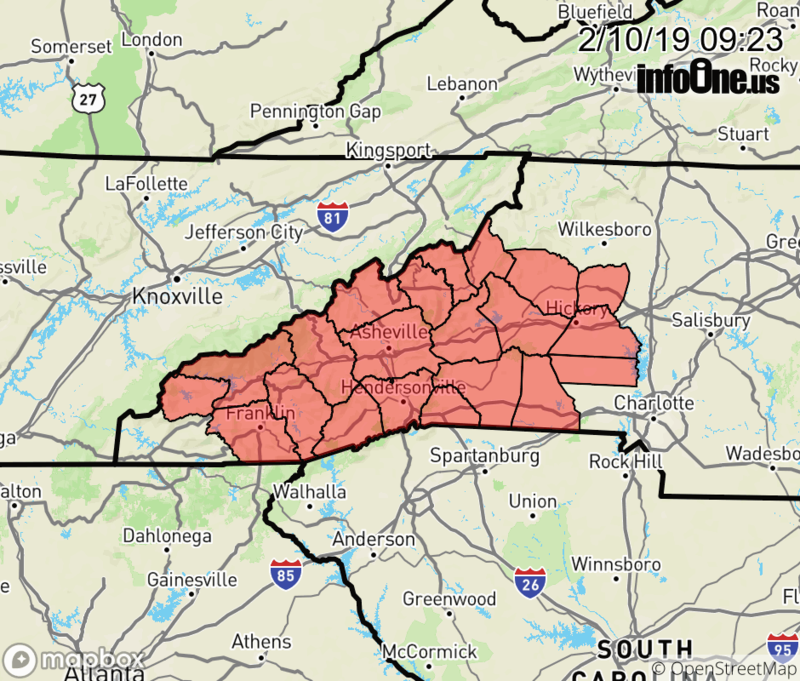 Ice accumulation is not expected to be significant, but motorists in the mountains and foothills of the western Carolinas and northeast Georgia are advised to drive with extra caution across bridges until temperatures warm above freezing later this morning.